We were happy to sponsor the Ontario Veterans Doubles Championships held this year at the Toronto Racquet Club. Stay tuned for details on the results. 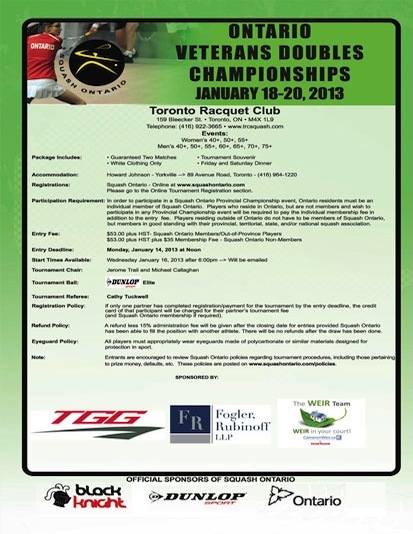 For more information please visit, Toronto Racquet Club.